A very important aspect of our lodge is longevity! This is a list of our Brothers who have been members for over half a century. Honoring Our Masonic Brothers Currently Serving Their Country In The Military. --A. M. Hintz, 32nd Deg, K.C.C.H. 1516 Park Ave., Sioux Falls, S.D. In the third chapter of 1 Peter there is a verse which says, “Be ready always to give an answer to everyone who asketh you a reason.” In this statement I would give my answer to everyone who asketh me a reason for my being a Mason. My first reason grows out of my own father’s convictions. He, because of financial and other reasons, had never been able to join this great fraternity but he often said to me, as a growing boy, that, if I ever had an opportunity to become a Mason, I should do so for Masonry would make me a better American and a better Baptist. Now that I am one, I know how right he was. A second reason why I am a Mason is that it affords me the privilege of fellowship with a group of great men. Many of the leaders of Christianity are also leading Masons. In England, for example, I understand that there are Lodges composed only of Church of England members, and one of them consists almost wholly of clergymen. There are two Lodges composed only of Methodists and one of the Congregationalists. There is also a Federation of Temperance Lodges, the members of which must pledge to abstain from intoxicating liquors. Many of my closest friends in the ministry are active in Masonry. Personally, I am glad that I belong to a Lodge which consists of men of various churches, because it enables me to stretch my mind far more than if my associations were limited only to those whose beliefs were exactly the same as mine. My mind and the spirit of tolerance and understanding grow through associations “on the level” with men who are searching for the truth in a spirit of tolerance and understanding. In the Lodge there are no divisions—a man’s individual church does not represent a wall of separation. A third reason why I am a Mason is that, as such, I am a part of the stream of life out of which has come our “American Way.” A frank study of history will reveal the fact that the American democratic way is primarily an outgrowth of Freemasonry. At the opening of the 18th century when Freemasonry, as we know it today, came into being, the state of man was deplorable. He enjoyed no equality before the law, no religious liberty, no equality of opportunity. The common man had few, if any, rights. But in those days there were some thinking men with vision who did not believe this to be God’s ordained way for man. In the ritual and beliefs of Freemasonry they found what they were looking for—a fellowship of progressive-minded men who knew no class distinctions, believing in the ideal of universal brotherhood of man under the universal Fatherhood of God. When these men heard that there was a new county across the sea where a man could worship and think as he pleased, many of them found their way to these American shores. For example the Pilgrim Fathers brought the ritual and beliefs of Freemasonry with them. They organized Lodges, and so Masonry and the history of the American colonies are forever and inseparably inked together. You know how the movement for freedom developed, but do you know that it was inspired and led by Masons? Every American knows of the famous ride of Paul Revere from Middlesex to Lexington. But how may know that Paul Revere was a Past Grand Master of the Masons of Massachusetts? Everyone knows that the Declaration of Independence is a statement of Masonic convictions? And then came the Revolutionary War, with General George Washington, an active Mason, a personality that dominated early American history at that stage, leading in the fight for liberty and equality. Finally, tyranny and autocracy were overthrown and, for the first time in the history of man, a new nation was built upon the principles to which Freemasonry is dedicated. The Constitutional Convention, presided over by Washington, included distinguished Masons such as Benjamin Franklin, Alexander Hamilton and many others. Read our Constitution carefully and you will see safeguards there against a state religion, special privilege, political tyranny-everyone is to have an equal voice, to be equal before the law, a further evidence of the precepts of Masonry. Then the day came when George Washington was sworn in as the first President of the United States of America. At the time he was also Worshipful Master of Alexandria Lodge No. 22, making him the only man ever to be President of a nation and Worshipful Master of his Lodge at the same time. The oath of office was administered by the Grand Master of the Grand Lodge of New York, and the Bible used was taken from the altar of St. John’s Lodge No. 1, New York City. A fourth reason why I am a Mason is that the Masonic convictions are consistent with my convictions as a Baptist minister—religious liberty, equality, education for all, no taxation without representation, separation of Church and State, tolerance and charity. All of these beliefs are Masonic and grow out of the twin convictions of the Fatherhood of God and the Brotherhood of Man. The foundation upon which Freemasonry rests is the Bible. The question is asked, “What about the things in Masonry that are called anti-Christian?” This brings me to my fifth reason for being a Mason, namely, I have not found that the things said to be so bad are as serious as they are said to be. Very frankly, I must admit that some Masons do things of which I do not approve, but I am also forced to admit that there are some Baptists—even some members of my own church who do some things I do not approve. There are some groups of Masons who do some things which I do not believe are consistent with Masonry or Christianity. But this is not the fault of the Fraternity. So long as people are people, some will do things not in keeping with the high ideals of the organization of which they are members. I am not disturbed by the fact that Masonry teaches the Fatherhood of God and the Brotherhood of Man. I am far more disturbed by those who limit this great Bible teaching. A second criticism leveled against Masonry is that it is a rival of the church of Jesus Christ. There s not a grain of truth in this claim. Masonry does not pretend to be a church and it does not set up a theology. During the years 1751-1813 in England a rival to the Mother Grand Lodge did exist, which called itself ancient and claimed that Masonry should be specifically Christian and set up Christian tests for membership. However, on December 27, 1813, the two united and, from that time to this, worthy men of all creeds and of every race have been admitted, with no religious test except a belief in God. This was a wise decision for, otherwise, Masonry would have become another branch of the Christian Church, and much of its present contribution to the welfare of society would have been impossible. Freemasonry is not a church. The Lodge says that each man should have his own church, and any church of his choice. It has never attempted to offer spiritual salvation. Unfortunately, however, occasionally a Mason does substitute the Lodge for his church, but this is not the fault of Masonry. Such a Mason would substitute something else—his business or club—if it were not for the Lodge. The third major criticism of Masonry is its secrecy. Those who are concerned simply do not understand what is involved in the matter. In the first place, there are no secrets in Masonry with respect to Masonic teachings, beliefs, principles and lectures. It is true that the obligations, passwords and grips are supposed to be secret but, as a matter of fact, oftentimes they are not. It is unfortunate that there are Masons who are unfaithful to their vow of secrecy. The grips and passwords make the organization more interesting to men and they exist to enable Masons to identify themselves one to another. Many fraternal organizations follow the same practice. However, those Masonic secrets have served a very real and vital purpose through the years. Whenever a dictator had become strong enough to control the country in his hands, the first thing he attempts to do is to ban the Masonic Lodge. This was one of the first acts of Hitler. Tyranny and Masonry simply cannot exist together. In such a situation of Masonry can continue to function and oppose tyranny only if there are ways whereby fellow Masons can identify themselves to one another, without fear of betrayal. I am reminded of the early days of the Christian Church when the Christians secretly met in the Catacombs of Rome where they used signs like the outline of a fish so that they might identify themselves to one another and thus convey messages necessary for their survival. I do not find these criticisms of Masonry harmful to my Christian faith. There is still another reason why I am a Mason, the most important reason of all. 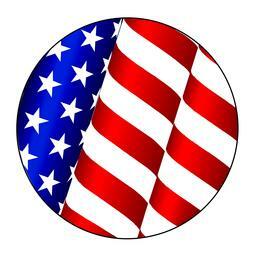 In my judgment our American way of life is in dire and urgent danger. There is a very real possibility that we are even now losing it. Our greatest hope, I believe, lies in a revival of evangelical Christianity which sends into life the Spirit of God, and spirited growth and development of Masonry which produces unity among freedom-loving and God-fearing men. We who believe in freedom must work together. 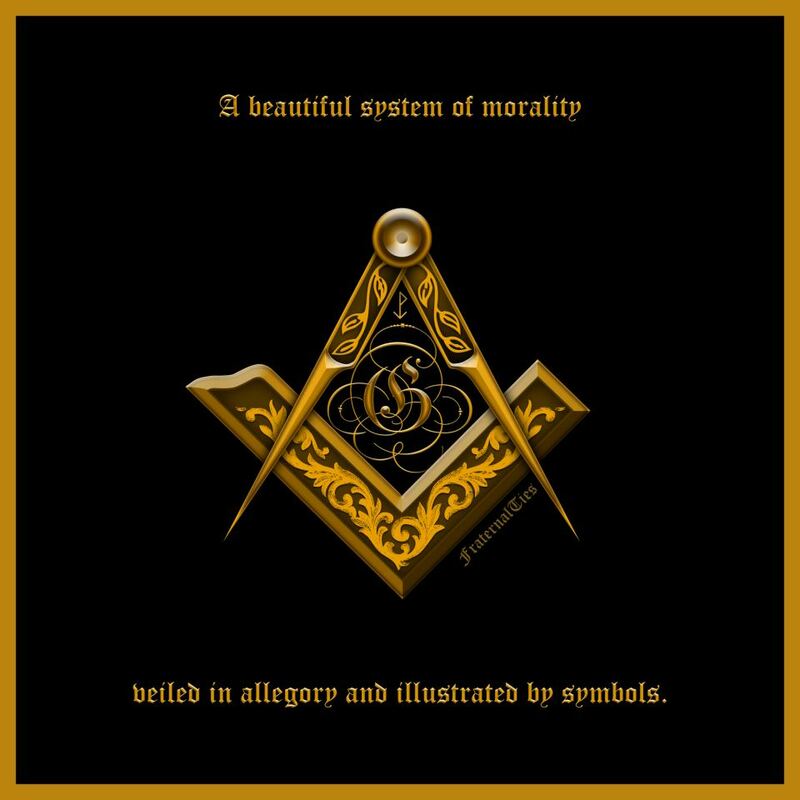 I know of no other organization than Masonry that so united men of various religious beliefs and of different social and cultural standing, enabling them to stand together in opposition to every form of tyranny—political, economic and religious. We see dangers all around us. Big government, big labor, big business are all threatening to swallow and destroy the individual. Communism, even in our own nation, that would destroy God and the individual man is a danger. And, in kindly spirit, I must add, movement to destroy the public school, to support parochial school through taxation, and the latest move to send an official ambassador from our nation to the Vatican are also dangers. The position of Masonry on these matters is clear-cut. How grateful I am that such a great group of progressive-minded men, as are the Masons, are concerned about these dangers. Americans must become aware of the ideals upon which the American way rests. This is the task that Masons are so well qualified to perform. I cannot help adding a word of concern, however, that there are too many Masons who do not themselves believe enough in Masonry to stand with Masonry. Too many accept the privileges of Masonry but not the responsibilities. Unless we reach the place where we are willing to die, if necessary, for these convictions for which our forefathers gave themselves, and unless we stand united with God, determined to preserve and promote the great ideals of freedom, we shall lose all that we have of preserving and promoting those great ideals and if we shall stand together under God, there is no power big or strong enough ever to destroy us and the way of life we represent. That is why I am a Mason.